A magnificent male specimen of charismatic megafauna is shot and killed and the public erupts in howls of execration. "Widespread expressions of outrage," to borrow from Tovar Cerulli's words from last month, ensue. Protests mount. Pickets march upon the killer's place of work. Social media flares into a firestorm. The pioneering primatologist, conservationist, and "UN Messenger of Peace" Dr. Jane Goodall is heard from. And all this, according to Cerulli, is not random but the product of the perception of trophy "hunting as a form of vain, thuggish conquest." And in the case last year of the death of Cecil the lion in Zimbabwe, to which Cerulli was referring, hunting was involved. The preceding, though, is about the killing of Harambe, the silverback western lowland gorilla shot after dragging a three-year-old child around his enclosure at the Cincinnati Zoo, inciting thousands to blame the boy's mother for having let him fall into the exhibit. What Cerulli sees as an instinctive revulsion to trophy hunting by society may be something else, perhaps more disturbing, when we consider the example of Harambe. The name means "pull together" in Swahili and was given to the gorilla as a baby after a contest held by the Texas zoo where he was born. The special-education teacher who came up with the winning name has the insight to recognize that "human beings have become distant from nature," and it may be this, rather than an innate disgust with hunting, that fueled the uproar over the death of an animal, a death the public finds incomprehensible. 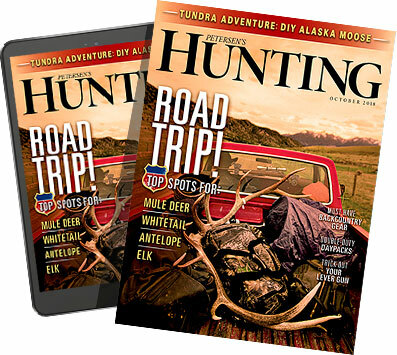 Cerulli places his faith in numbers showing that while only 28 percent of Americans accept trophy hunting, 85 percent approve of hunting for meat. The same survey, though, finds that the public that favors hunting for meat also supports it, by a similar percentage, to protect humans from harm — except apparently a little boy being tossed around by a 450-pound gorilla, even though that does not qualify as hunting it does involve the killing of an animal, which in the minds of many, blindly focusing on outcomes, amounts to the same thing as hunting. exploitation," despite the disconnect that only 2.5 percent of polling subjects identify as vegan, meaning they actually put their non-exploitative beliefs into concrete action, or claim to. It also means that much of that 32 percent have not rationally thought through how their stance would ultimately require them to live their lives. Examining the report from which Mr. Cerulli draws his evidence for the disapproval of trophy hunting (another word for sport or recreational hunting, in case there is any confusion about that), it would seem that fully 79 percent of Americans support legal hunting, without any other qualification. Should that settle the issue? Tragically divorced from the natural world, most people don't really know what to think about hunting or even wild animals. Ironically, those least likely to mourn lions are those who live with lions — or large, potentially dangerous animals in general — those with the deepest, best knowledge of them. They are also the ones likely to be most in favor of the trophy hunting that takes place around them and from which they can benefit economically. Convince the world that only subsistence hunting should be tolerated and a major tool for preserving the wildlife of Africa, and other developing regions, will be eliminated, turning big game into a net loss for indigenous peoples. And without the least guarantee that the future of any hunting will be assured. "Statistics, based on a Gallup poll, find that 32 percent of Americans believe that animals "deserve the exact same rights as people to be free from harm and exploitation," despite the disconnect that only 2.5 percent of polling subjects identify as vegan, meaning they actually put their non-exploitative beliefs into concrete action, or claim to." Cerulli quotes Dr. Goodall's condemning the killing of Cecil as an expression of "the dark side of human nature" and seems to believe that were there only meat hunting in the world, she would not have bad things to say about hunters. But nowhere in her blog entry, from which he appears to quote, does she offer any endorsement of hunting of any kind, no sense that she would favor hunting "if only...." Cerulli seems to imply that an end to trophy hunting could win over a PETA backer like Goodall (though in fairness, she has been badly burned by that group's reckless use of her name). Has Dr. Goodall spoken out in support of any form of hunting? Is Dr. Goodall in Mr. Cerulli's opinion merely a critic of the specific hunting of a Cecil? There is nothing inherently immoral or unethical about trophy hunting. Nor is there anything unnatural or particularly modern about it. Hunting the largest, heaviest antlered and horned big game was a successful strategy of the earliest "persistence hunters" and actively practiced still today by the San hunters of Botswana. You chased the biggest male because he tired quickest and provided the greatest number of calories for the energy expended. And you did not leave his horns where he fell. The animals you painted on the walls of caves were consistently the finest trophy specimens; and massive antlers, horns, and tusks often found their way into the graves of ancient hunters. Honor, morality, and, perhaps, the purest conservation ethic are practiced in trophy hunting. "If it is morally right to kill an animal to eat its body," wrote Theodore Roosevelt, unapologetically, "then it is morally right to kill it to preserve its head. A good sportsman will not hesitate as to the relative value he puts upon the two, and to get one he will go a long time without eating the other." And it should be added, a 390-class bull or a buck with a 10-tined rack can eat just as well as a spike or a forked horn. There is nothing mutually exclusive between trophy hunting and hunting for meat. Cerulli contends that to the public the words "trophy" and "sport" mean, in the context of hunting, "self-glorification." In trophy and sport hunting, "substantial utilization of animals is not intended." Or at least that is what people hear, and Cerulli makes no effort to disabuse them of that belief. Writing in his blog some years ago, Cerulli tells us that José Ortega y Gasset's "sportsman" is "out of touch with reality" because he is not, according to Cerulli, hunting to live but only living to hunt (which is bad?) and that killing is merely a "sign" of the hunt for the sport hunter, separated, it seems, from the reality of utilization. This strikes me as a fundamental misinterpretation of the ethics of the sportsman. Cerulli seems to contend that the sportsman/trophy hunter is content merely to hunt within the letter of hunting regulations, something of which the existence of fair-chase codes flies in the face. The subsistence hunter, whom Ortega praised as "municipal Paleolithic man," although Cerulli profoundly misreads that as an insult, has never had a monopoly on ethics and morality, as the untouched skeletons at the bottoms of heaped bones below buffalo jumps testify. Saying we only hunt for utilitarian motives smacks of what Ortega called "affected piety" and is as likely to be met with gales of derisive laughter as heartfelt praise. Which is not to say that there is anything innately glorious about trophy hunting. The glory in either lies in the potential for the hunter to demonstrate unusual virtue. It underestimates, if not insults, hunters to suggest that anybody defends "game butchers" or that we are in lockstep support of every non-criminal hunting practice. Abandoning a legitimate hunting tradition for the sake of what is likely an unworkable form of political correctness, though, denies the complex spectrum of reasons for why we hunt and probably won't save hunting as a whole. But doing our best to hunt honorably, whatever our intention, and learning to articulate that, might just work.